Did you know barbers were the go-to people for concerns about your teeth? In the past, they not only groomed your face but also extracted and whitened your teeth. It wasn’t until 1840 that the first college Baltimore College of Dental Surgery opened. Today, the United States has over 60 schools and dentistry is considered a specialized practice. 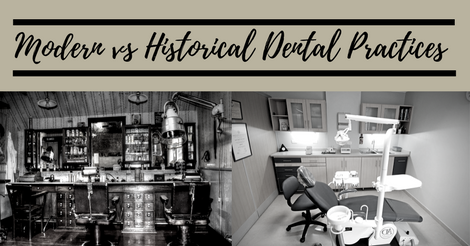 Let’s take a look back and see how modern dentistry came to be.